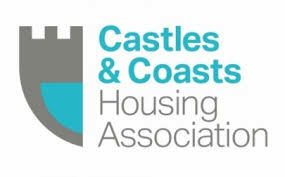 Castles & Coasts Housing Association (CCHA) received a high number of inbound repair and maintenance calls to its customer service centre, where the issues reported couldn’t be resolved immediately. As a consequence, many tenants were calling several times and often having to explain the same issue to different call handlers. Instances where poor or insufficient information was provided had a knock-on effect on the service levels of maintenance staff attending appointments to carry out property repairs, leading to multiple call-outs. This led to tenant and staff dis-satisfaction and a commercial impact on the organisation. An immediate requirement was to review the existing call / service processes, assess what changes could be made to adopt a ‘one-call resolution’ approach to deal with issues more effectively, and improve both call quality and customer experience, in addition to reducing the number of repeat inbound calls. Using our Your Service Fingerprint (YSF) model provides staff with the necessary tools and choices, and allows people to take ownership of situations and understand how to have powerful conversations with customers. It’s about asking the right questions to come up with the right solution and setting realistic expectations, and this formed the basis for a series of workshops with the housing association. To manage customer queries successfully, call handlers revisited their approach to calls and used new techniques to engage customers in a more meaningful conversation. That didn’t mean simply ‘talking’ to customers, but engaging in a two-way conversation where both parties are clear about what needs to happen, by when, and what is needed to make it happen. We started by revisiting the real philosophy behind customer service, with open discussion in workshops on participants’ understanding of this, their own experience as customers of other organisations, and recognising how customer service fits as a fundamental part of the culture of the housing association. Coaching call handlers on the core elements of a new approach was part of this, what we call the ‘five Cs’: Consistency, Clarity, Connection, Choice, and Commitment, and how to incorporate them into every conversation they have with customers. Using this framework, participants were able to apply this to ‘real life’ scenarios using example calls in an interactive session, to recognise how using their new techniques could result in a more successful call outcome, better customer experience and ultimately, recognition of the value of their own contribution as the first link in the service chain. With coaching around these new skills, and instilling a ‘can-do’ attitude in everyone, all participants were equipped with their own tool kit they can use to bring customer service to life and sustain service excellence at all times. There was genuine ‘buy-in’ from participants to the new approach, not only in identifying their own areas for development, but also a clear understanding of how they can influence a successful outcome, and the positive impact this can have on their own confidence and job satisfaction. Combining all of these elements, and to help participants with their development, they were also encouraged to think about recommendations they could make to improve customer service in the future and look at ways to add real value on calls. Follow up sessions were arranged following the initial roll-out, to assess the positive impact of the workshops and further embed learning. A revised quality assurance matrix was designed to assist managers when assessing call samples. Pamela Armstrong, Customer Services Manager said “the programme has really helped our front line Customer Services Team in providing a unique customer experience, and has furnished us with new skills and techniques to achieve this. Staff have enjoyed participating in the programme, which we continue to embrace and roll out to new members of our team”. The ultimate aim of the workshop was to help call handlers to create a genuine connection on calls (to understand what the customer wants, take ownership, and have the ability to communicate a clear message around how to arrive at the desired outcome). Also, for staff in other teams to continue this customer relationship, should any matters be referred to specialist teams. This housing association has now seen significant improvement in the number of one-call resolutions. Call quality has increased with fewer repeat visits from maintenance staff; tenants are now better informed around the process and have a clear understanding around information required from them. Would you like us to help your organisation?